Did You Know Over 77% Of People Experience Foot & Ankle Pain? Will I need a General Anaesthetic for foot and ankle surgery? In many cases you will need to have a general anaesthetic for your operation. Some operations are undertaken with a ‘pain block’ in the foot and sedation given into a vein. In other cases, the surgery will be undertaken under local anaesthetic. The nature of the anaesthesia will be discussed with you before the surgery, by both the surgical team and the anaesthetist. How soon can I walk after my operation? This depends on the type of surgery you are having. A physiotherapist will help and advise you either on the day of surgery or on the morning following surgery. You will be provided with post-operative footwear and walking aids such as crutches, if this is thought necessary. Does my bunion have to hurt to require surgery? The answer is most often yes, but if you have reduced motion in your big toe joint that is causing destruction of the cartilage in your joint, surgery might be recommended sooner to help prevent a bigger surgery later – such as the need for a joint implant. Most of our patients do very well. There are a couple of things that affect this. Can I go home in a car after my surgery? You are perfectly safe to travel as a passenger in a car following foot surgery. It is better to travel in the front seat with your foot up, or ideally in the back seat with your leg across the seat. What shoes should I wear following foot and ankle surgery? Immediately after surgery you will be provided with a surgical shoe, which protects your dressing and will also dictate how you walk, to protect your foot. This shoe should be worn day and night. When you are allowed to come out of your surgical shoe the best shoe wear is an open-toed sports sandal with Velcro adjustments; this allows for any swelling. What happens when I get home after my foot and ankle surgery? For the first 2 weeks at home you should restrict your activity with plenty of rest, keeping your foot elevated on a pillow or stool. This will reduce the swelling, which in turn helps to reduce pain. It is advisable to have someone to help you at home, as some simple tasks such as making a cup of tea and carrying it when you are using crutches are a problem – especially if you are non-weight bearing. Not all wounds have stitches that need to be removed, some have steristrips (butterflies) and others have dissolvable stitches. Your wound will be checked when you come back for your first follow up appointment. This is usually 2 weeks after surgery. When can I wash my foot? You will usually return to see Dr. Jamshidinia or Dr. Alfandari 2 weeks following surgery for the dressings and stitches to be removed. For some patients you may be able to shower after this but you will be given individual advice at this time. It is possible to purchase a special cover that goes over a plaster or dressing that allows you to shower safely without getting the wound or plaster wet. How long will my foot be swollen for? Your foot will be swollen for some time after surgery. The swelling will gradually reduce over time but takes up to a year to finally settle. When can I return to my normal work routine? This depends on the type of surgery you have had and the type of work you do. When you do go back to work you may have to consider wearing open-toed sandals, or oversized shoes, as your foot may be swollen for some months. 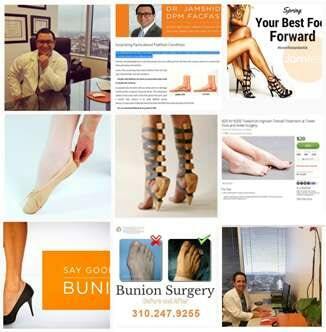 Please feel free to call Tower Foot and Ankle Surgery at 310.247.9255 for more specific advice, if you require it. Do bunions come back after surgery? This all depends on the type of foot surgery you are having and your doctors instructions. 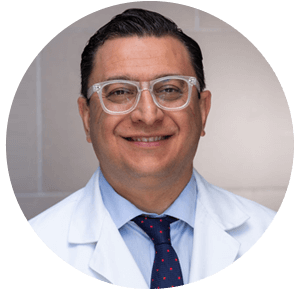 We recommend you discuss this with your physician who can give you sound advice based on the type of surgery you are having and also the medications that you will be taking during your recovery. If you are wearing an assistive device (ie cast, cam walker boot or post operative shoe/other assistive device) on either foot we do not recommend driving and in many states this is against state law. Driving with an assistive device attached to your foot poses a risk of bodily harm and property damage to both you and other motorists and pedestrians alike. Your surgeon will discuss this matter with you in great detail. Obviously, the final responsibility that you can control the car is yours. How soon can I fly after my foot and ankle surgery? You should not travel long haul after major foot surgery for at least 3 months. This includes operations such as ankle fusions or tendon reconstructions. You should not fly if you have your foot/leg in a plaster. For operations such as bunions you should avoid flying for approximately 1 month after surgery. This reduces the risk of deep vein thrombosis (blood clots).